Professor Pavel Exner is currently the scientific director at the Doppler Institute for Mathematical Physics and Applied Mathematics in Prague. He is an extremely active figure in the scientific community; in addition to publishing several books and over 200 papers, he has organised many conferences, is a member of several professional organisations, and has been awarded the JINR prize for theoretical physics. Exner’s research interests include mathematical methods of quantum theory, in particular quantum waveguides and graphs, unstable systems and solvable models. We are very grateful for the work Exner has done as a member of the Journal of Physics A editorial board; as a past board member, section editor of our Quantum Mechanics and Quantum Information Theory section and presently a valued member of the journals advisory panel. In 2010 he was a guest editor for the special issue: Spectral and transport properties of quantum systems: in memory of Pierre Duclos (1948–2010). Going back to the start, how did you come to studying Theoretical Physics? As with most people my path was determined by a series of choices involving random factors. I liked mathematics and physics at school, and did well in the olympiads, but I liked also literature, history, etc. At the age of fourteen I choose a technical-type high school oriented at nuclear disciplines, as popular then as they are despised by many these days, probably because it was one of the most difficult and challenging ones. The way from there to the Technical University was straightforward. Since I have the need to understand things from the first principles, I drifted gradually towards theoretical physics and it was only natural that in the middle of my studies, corresponding roughly to the bachelor degree nowadays, I ended up at the Theoretical Physics Department of the Charles University, where I subsequently graduated. The story of my PhD is more complicated. Working as an assistant professor at the Charles University I prepared a thesis, but at that time and place it required a Party approval which I was not able to get. Since my job was shaky, I moved to the Laboratory of Theoretical Physics in Dubna. The Russians were much more pragmatic and finally pushed my Czech bosses to agree that my PhD would not be a threat to the communist regime. It would be a shame, though, to present a work years old, hence I wrote another thesis, devoted this time to unstable quantum systems and Feynman integrals, and finally got the degree at the tender age of thirty seven. Those two decades were a dark time and having interesting problems to solve helped a lot to keep one’s spirit up. Your research broadly encompasses mathematical methods of quantum theory. What do you focus on more specifically? What led you to studying in these areas? I think that quite often a problem seeks its solver; examining your field from different angles and perspectives you are led to questions that crystalize into a well-defined challenge. Among my favourite subjects you will find irreversible processes in quantum systems, decay and resonance phenomena, as well as quantum effects coming from geometry and topology as manifested in quantum waveguides, graphs, and other tiny objects the number of which grows every day with the improving skills of experimental physicists. My interest in them, however, is primarily theoretical and mathematical. One group of problems which interests me presently concerns quantum systems which exhibit abrupt change of behaviour: when a parameter associated with a coupling strength exceeds a critical value, their spectrum moves, say, from a discrete and below bounded one to the purely continuous encompassing all values of energy. The dynamical counterpart of this sudden change is that for the coupling strength exceeding the critical value, the wave packet describing a quantum particle can leave the designated area of space and to escape ‘to infinity’. What do you consider to be the most significant problem to be addressed in your field? While quantum physics influences our lives more than most people would believe – almost every appliance we use is governed by the laws of quantum mechanics – we still cannot say that we understand it fully. I have no doubt that there are surprising quantum effects to be discovered, because in the quantum realm our intuition based on everyday experience often fails. The geometrical and topological effects of which I spoke above belong to this category. On a more fundamental level a big challenge is still posed by understanding the quantum theory, in the first place the process of measurement central to the Copenhagen interpretation. On the one hand we have an excellent working tool that helps us in creating the wonderful technical world around, but on the other hand it is fair to say that it lacks the ultimate clarity we know from the classical mechanics, electrodynamics or, say, the general theory of relativity. The question concerned my field, but I cannot resist mentioning that there are a lot of fascinating problems in other fields as well and the mechanism of the world is the greatest gift we were given by nature. Over the course of your career, how do you feel the field of mathematical physics has progressed? The old age gives you an advantage of being able to overlook a period of many decades and I have to say the changes were tremendous. In my student years mathematical physics was an old established field which first brought to your mind oscillations of clamped membranes. Rigorous studies in scattering theory, quantum field theory, and stability of matter were just beginning. Over that roughly half a century new unsuspected subfields appeared, say, quantum chaos, quantum computing, or new directions in the material science. Looking at this progress I am sure that new discoveries will keep coming. You have received many awards for your work? What would you say has been your career highlight or biggest achievement to date? I would say that the pleasure of being able to address successfully intriguing problems is above all laurea and finding a solution overlooked for more than a century, as it was the case with the curvature induced bound states in waveguides, is something that makes you really happy. Nevertheless, if you ask about prizes, I value particularly high the JINR Prize we received from the hands of Nikolai Bogoliubov. Having experienced scientific publishing as an author and also as a journal’s editorial board adviser, how would you say publishing habits have changed and developed over time? Compared to my young years, publishing is now considerably easier and at the same time more individual. This naturally comes from the widespread electronization and communication possibilities which did not exist earlier, as well the editing tools we nowadays have; one can hardly overestimate what people like Donald Knuth, Leslie Lamport and others did for the field. 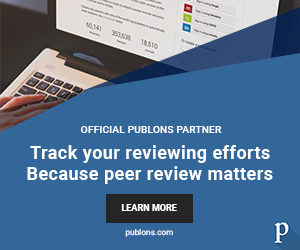 But there is a danger hidden in this easiness: more than before we should care about reliable peer review because without a strong feedback and quality control we may be entering a shaky ground. One of your latest papers with JPhysA was ‘Gap asymptotics in a weakly bent leaky quantum wire‘. Could you summarise your findings here? I mentioned above that geometry may give rise to an effective interaction. Some fifteen years ago we showed that a quantum particle confined to a thin potential channel can be trapped if the channel is bent. Properties of those states, in particular, their binding energies were subsequently analyzed by various authors. What escaped the treatment was the question how the binding energy behaves when the ditch bending is only gentle. Last year we looked into the problem again with Sylwia Kondej, my former postdoc, and we succeeded in deriving a beautiful asymptotic formula describing this situation. Finally, do you have any advice for young researchers entering the field? Use well every hour of this time because the way your brain works changes with the age, you gain experience but you lose the speed and the sweep of combining power. Be daring, be imaginative, and remember that your teachers may show you the path but the choice is yours. This work is licensed under a Creative Commons Attribution 3.0 Unported License. Image courtesy of Pavel Exner. Copyright IOP Publishing 2016.